I am sorry being silent for these couple of last days and for missing the weekly Ebay bargains post – recently I have been very busy and the fact that I left my portable hard drive at my summerhouse along with the Ebay bargains post’s picture that I prepared beforehands and with other pictures I wanted to publish this week, didn’t help either! Anyways, today I have prepared another outfit post for you and these outfit pictures for some reason have been sitting in my pc for almost over a month as for one reason or another I didn’t have the chance to publish them properly! 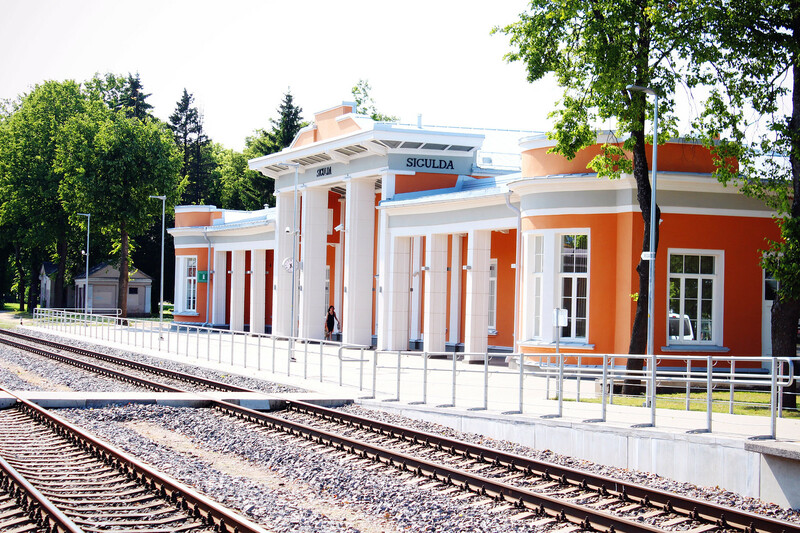 These pictures were taken on a beautiful sunny day when me and my boyfriend decided to have a little road trip to a small city Mālpils ( which was gorgeous by the way) and Sigulda ( you’ll be able to see Sigulda’s train station in these pictures!). As the day was very warm and sunny I decided to go for an all white outfit, I wore a beautiful crop top along with white shorts and to mix it up I also decided to wear a floral print long kimono in case of a chilly breeze of wind! I hope you’ll like this outfit and that you’ll also have the chance to reminiscence about the hot summer days! Pretty kimono and your sleek pony tail is gorgeous. Gorgeous, love the print and the bag. That kimono it's really pretty. I love how everything is affordable! This is such a cute outfit! How do you always look so beautiful in everything you wear?? I love this kimono!! Good idea pairing it with all white – it's like a blank canvass for the colors from your kimono to pop! I love all of this summer look!!! The kimono, the sunglasses… You are stunning! This white on white with that colorful kimono is SO gorgeous!!!! Perfect inspiration and so on trend.. Be well! Beautiful! Definitely a summer look for the books. I love the all-white with a pop of color. So stunning! Super cute! Love the colors of this kimono and where you took these pictures! You look absolutely beautiful girl! Love the kimono + white top and shorts! this kimono is so pretty! !